A Wireless LAN (WLAN) is basically a Local Area Network, which uses radio signals rather than the conventional wiring of Ethernet and Fiber Optics. The origins of 802.11 were in the corporate world in which companies needed a way to connect their massive base networks to a smaller group of client computers. This allowed the client computers to use the full resources and data of the base network and vice versa. When the wireless standard was first introduced as 802.11 4 years ago, many companies embraced it and made products that were not proprietary but shared the standard so you could interchange units from various companies. 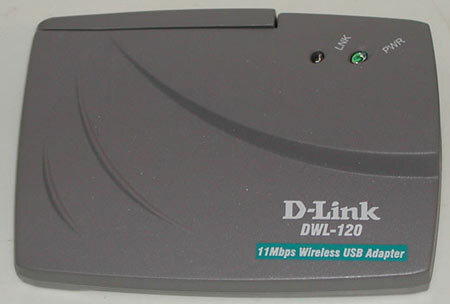 Have a D-Link access point and a Linksys adapter and they will work together thanks to the standard. Why hasn't it become popular so far? The 802.11 only had a maximum speed of 1-2 Mbps, making it too slow to support activity other than browsing the Internet on. It cannot perform tasks that a LAN network should be capable of. 1Mbps translates to roughly 120kbps, moving large files would take ages and multiplayer gaming will be lagged. While adoption of the 802.11 was slow in the corporate world, it caught some fans in the home networking world who just wanted to share Internet access and printers. Last year, the IEEE introduced the 802.11b standard, upping the transmission frequency to 2.4GHz and also the speed to a hearty 11Mbps at peak throughput. This makes it more feasible for companies to deploy in their networks as it reaches and sometimes surpasses the speeds of a 10Base-T network. The 802.11b standard also makes wireless a great choice in the home as multiplayer gaming and file transfer speeds will also be greatly enhanced. The 802.11b standard is backwards compatible with earlier 802.11 standards. To get a better understanding of how the network standard works, please visit this site.